RDS National Prize Winners Travelling Exhibition Opening. Beginning Baby Steps, a good foundation for anyone curious what this crochet business is all about. All materials supplied. Usual price €10 per person, thanks to OPW sponsorship, now just €5 per person. Places are limited so book early! Make a flower using traditional techniques - learn to produce an Irish Crochet Lace Dog Rose. Realise the potential a few stitches actually have, and create beautiful, original, decorative and craft items for your home, for unique gifts, and much more! Usual price €10, thanks to OPW sponsorship, now just €5 per person. Places are limited so book early! Why not avail of our full day, Heritage Craft Package, when pre-booking both workshops, including lunch in the Rathcroghan Café, (home-made soup and sandwich plus tea or coffee) what should cost you €29, you can have for just €15 if you book now! A look at structure, composition and examples of early Irish poetry, and a chance to compose your own in a supportive, creative environment. Usual price €10 per person, thanks to OPW sponsorship, now just €5 per person. Places are limited so book early! Why not avail of our full day, Heritage Craft Package, when pre-booking both workshops, including lunch in the Rathcroghan Café, (home-made soup and sandwich plus tea or coffee) what should cost you €19, you can have for just €10 if you book now! Locals and visitors across the island of Ireland will enjoy the unique experience of Culture Night, a free night of entertainment, discovery and adventure taking place in 34 towns, cities and islands in Ireland. Museums, galleries, churches, historic houses, artist studios and cultural centres will open their doors late into the evening, welcoming people of all ages to taste and sample their cultural delights for free. The exhibition at the Rathcroghan Centre will be launched at 6pm with a wine and cheese reception and will be open to the public for viewing and sales, from 12-2pm, Monday to Saturday, until 14th October, 2012. 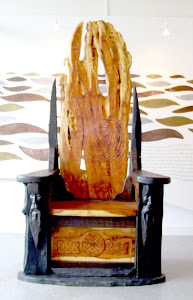 The Poet and Artist explore the themes on Megalithic sites, their legends and stories. 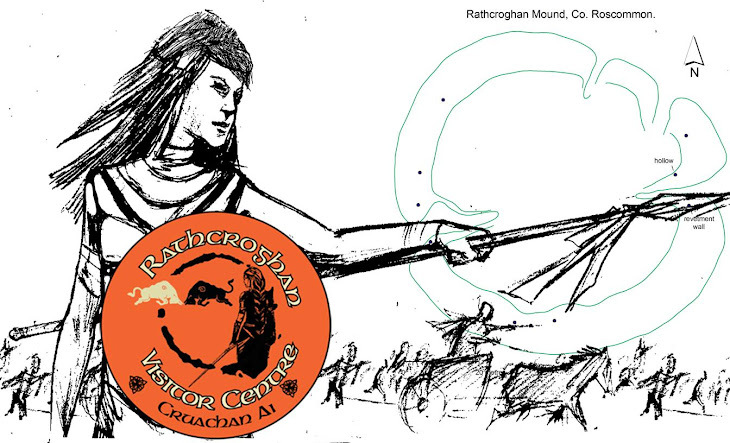 Taken from the Heritage Workshops run by the Rathcroghan Centre.